We're off to Colombia this year for Christmas ~ we alternate each year between our families. It's always lovely to top up with daylight and sunshine part way through the dark European winter months, but I do miss one or two British seasonal traditions all the same! One of the things I enjoy a lot about Christmas in the UK is mince pies, or more specifically my Mum's mince pies! 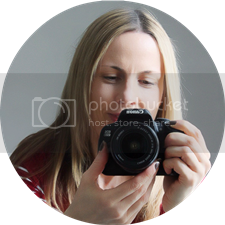 She has a brilliant festive culinary repertoire (ask Mr DI about her chocolate log cake!) and homemade mince pies always, always make an appearance during the holidays. 1. First make the pastry: rub the butter into the flour, then mix in the sugar and a pinch of salt. Combine the pastry into a ball ~ don’t add liquid ~ and knead it briefly. 2. Preheat the oven to 200C/Gas 6/Fan 180C. 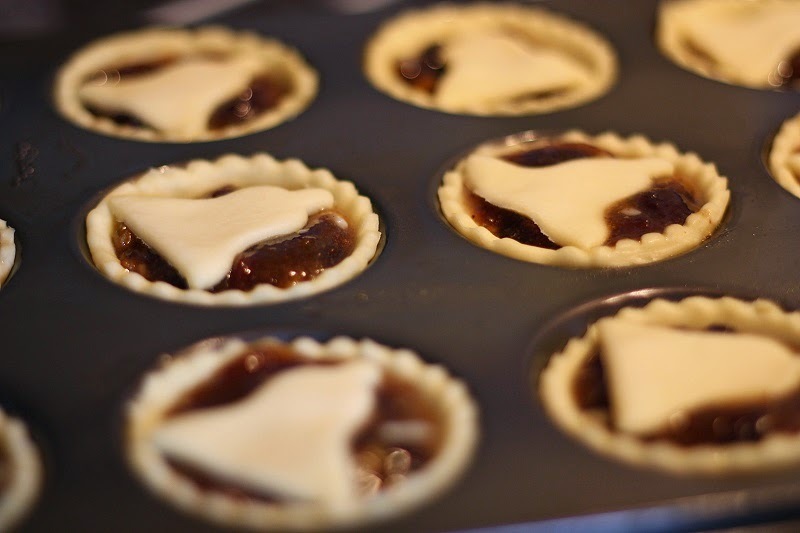 Roll out the pastry and use a circular cutter larger than the holes in your bun tin to form the pie bases. Grease the tin and lay a base into each hole. 3. 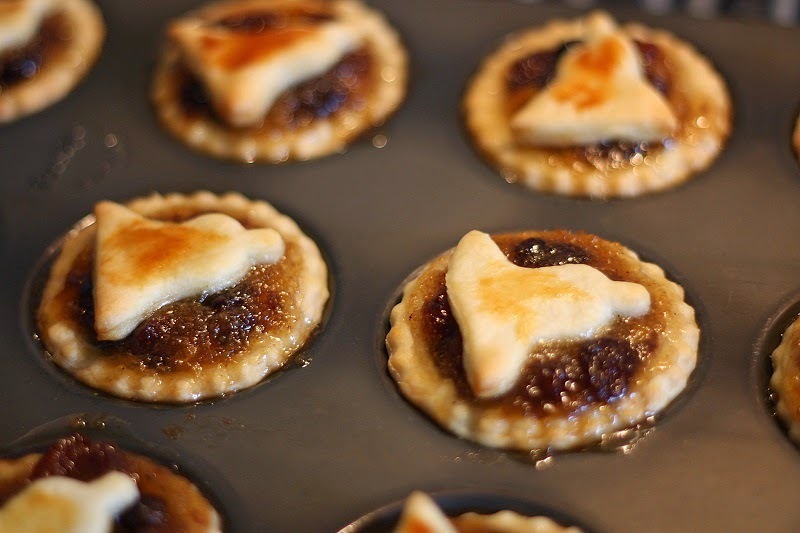 Spoon mincemeat into each pie. 4. Roll out the rest of the pastry and cut into shapes of your choice to form the pie lids (or use simple circles if you prefer). Make sure the shape is big enough to just rest across the diameter of each pie. 5. Top the pies with their lids, pressing the edges lightly together where they touch to seal them. (At this point you can freeze them for up to a month if you wish ~ top Mum 'get ahead' tip!). 6. Beat the egg and use it to brush the tops of the pies. 7. Bake for 20 minutes until golden. Leave to cool in the tin for 5 minutes, then remove to a wire rack. They will keep for 3 to 4 days in an airtight container ~ although not in our family! 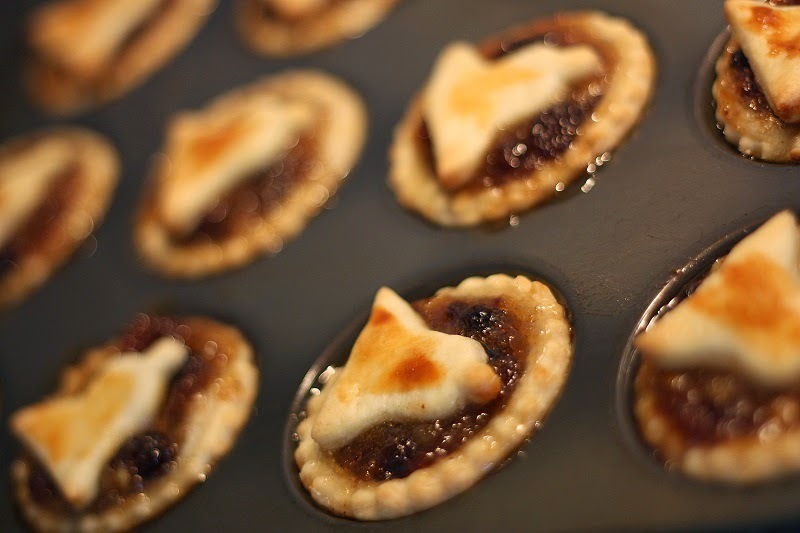 Are you a mince pie lover or a hater? Do you have a favourite family treat that you enjoy at Christmas?